Reinventing ultra-long-haul travel on the world’s longest commercial flight. Air travel is rarely linked to health and wellness but Singapore Airlines is changing that with its recently relaunched route from Changi Airport to Newark Liberty International Airport in New York. The Singapore-New York route involves 18 hours and 45 minutes of flight time, a technological aviation feat made possible by the new Airbus A350-900 Ultra Long Range aircraft’s capability to fly 9,700 nautical miles non-stop. But it also means limited body movement at high altitudes for a very long period of time, making the comfort of passengers and crew of paramount importance to the airline. Its partnership with global health and wellness brand, Canyon Ranch, is a key feature of the flight. As Betty Wong, divisional vice-president of in-flight services and design, explains when met at the SATS facility in Singapore where all the food preparation and handling takes place, “the focus on wellness begins well before one even boards the aircraft. Forty-eight hours prior to departure, passengers can download a wellness guide containing the dos and don’ts before, during and after the flight”. The guide includes tips on preparations for long-haul travel, such as sleep strategies as well as stretching exercises accessible via the in-flight entertainment system. After all, close to 19 hours is a long time to spend on an airborne plane. By following Canyon Ranch’s tips, passengers can sit back and fully enjoy the flight experience. 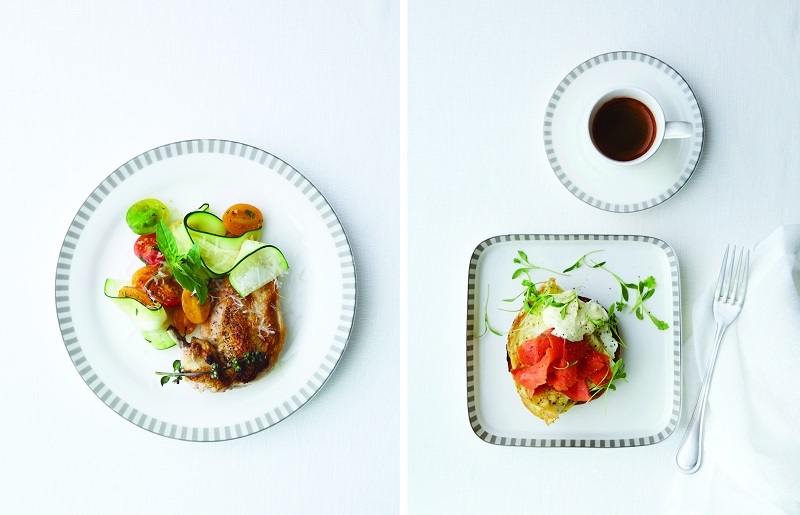 Whether they are in business (67 seats) or premium economy (94 seats) class, passengers can choose from the array of dishes on the in-flight menu, all of which were developed with the intricacies of the long flight duration in mind. The menu comes complete with calorie count and carbohydrate, protein, fat and sodium content, enabling passengers to take charge of their nutritional intake while flying. Often times, people find themselves stuck in a cycle of eating, napping and watching shows on an ultra-long-haul journey, only to reach their destination feeling exhausted. 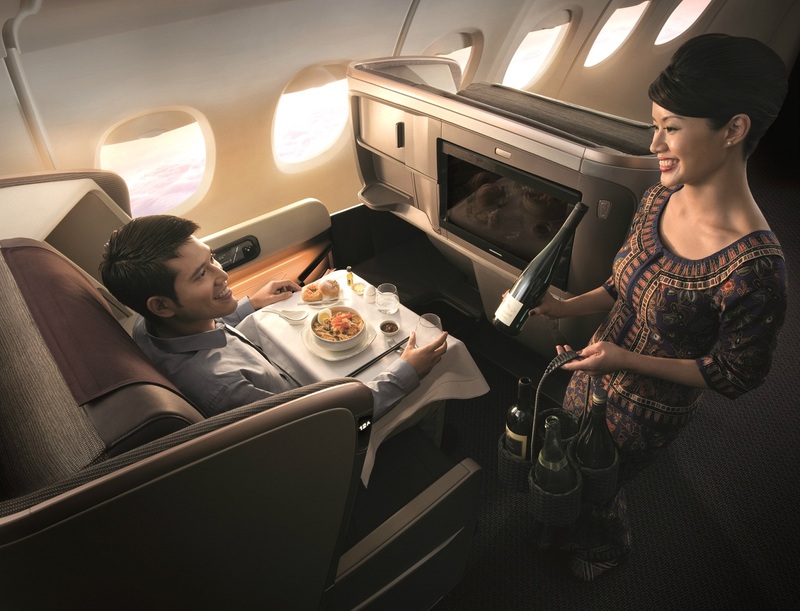 “Canyon Ranch’s expertise in healthy living and eating, together with our expertise in flying passengers around the world and providing them with great service, has proved to be a good combination for both parties,” says Singapore Airlines food and beverage director Antony McNeil. With input from the chefs and nutritionists at Canyon Ranch and the airline team, the 32-dish menu was perfected in a tasting session in a pressurised room within the SATS facility, which is a common practice at the airline. Simulating the altitude during flight allows more accurate tasting of food and proper seasoning without compromising nutrition. Part of the challenge, says McNeil, was achieving the best results, considering the need for airline food to be chilled and reheated before serving, a novel aspect of food handling for Canyon Ranch. Having ironed out these kinks, the extensive menu, which McNeil says might grow larger in the near future, now includes wild caught prawn ceviche and lavosh, seared organic chicken and zucchini pappardelle, lox eggs benedict and lemon angel food cake, each with accompanying nutritional information. It is a given that the comfort of passengers is the priority on any flight but more so on a flight as long as this. The aircraft itself is designed with the peculiarities of long-haul travel in mind. A wider cabin means more personal space in the Airbus Airspace cabin, which also has the quietest interior noise level of any twin-aisle airline. 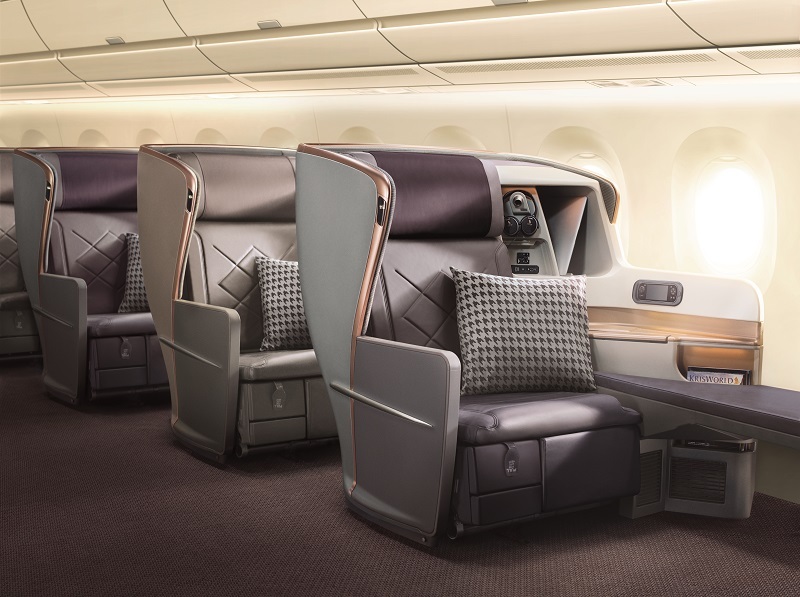 In order to reduce passenger fatigue, cabin altitude is optimised at the equivalent of 6,000ft or 1,800m above sea level, creating a less dry environment when combined with the draft-free air-conditioning system. Meanwhile, its state-of-the-art ambient LED lighting system is capable of producing over 16 million colour combinations, enabling realistic simulations of various times of the day that help passengers acclimatise to different time zones. The features of the aircraft not only provide the highest level of comfort and well-being but also cutting-edge fuel efficiency. The Singapore-New York route, which was first launched in July 2004 but terminated in 2013 due to economic reasons, has now made a comeback in the form of Airbus’ best-selling new generation aircraft from the A350 XWB family. Technological advances have enabled the A350-900 ULR to address concerns that were faced previously through an aerodynamic design, carbon-fibre fuselage and wings, and fuel-efficient Rolls-Royce engines. In fact, fuel consumption has been reduced by 25% compared with the older generation aircraft of the same size. The idea of being on an aircraft for only a few hours shy of a full day may sound daunting to some but the well-thought-out features of this ultra-long-haul flight present a compelling reason to plan a trip to the Big Apple on Singapore Airlines, pronto.